Getting shoppers to pause and take notice. Great Retail POS is about taking the impossible and making it possible. 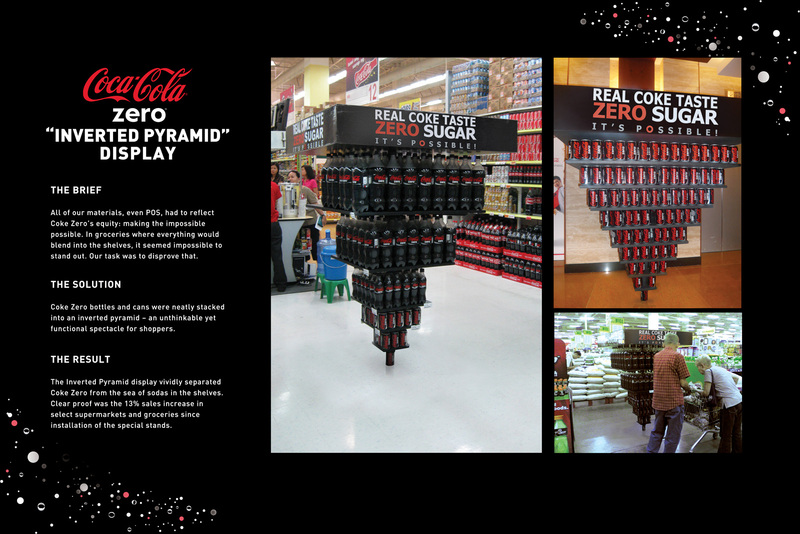 Coke Zero has executed a tremendous example of just that. Nice job. Get a closer look at the project brief here.